Zimbabweans can now apply for licences to grow cannabis for medical and research purposes, the government said, making Zimbabwe the second country in Africa to legalize cultivation of the plant. Lesotho last year announced the continent’s first license to grow cannabis legally. Until now, it has been illegal to grow, possess or use cannabis in Zimbabwe, with offenders facing up to 12 years in jail. Health Minister David Parirenyatwa published new regulations, allowing individuals and companies to be licensed to cultivate cannabis, known locally as mbanje. The five-year renewable licences will allow growers to possess, transport and sell fresh and dried cannabis as well as cannabis oil. Applications should include plans of the growing site, quantity to be produced and sold and the production period. THC may be effective in treating psychological symptoms in patients suffering from anorexia nervosa. This is the result of a small clinical study conducted by researchers of Hebrew University in Jerusalem and Haifa University, Israel. Nine female subjects with a mean age of 45 years and a mean body mass index (BMI) of 16.1 participated. Underweight is defined as a Body Mass Index der below 20 or 19. Severe underweight is defined as a BMI below 16. They were treated with 1 mg THC per day for one week and 2 mg per day for 3 weeks. Significant improvements were found in self-reported body care, sense of ineffectiveness, asceticism and depression. There were no significant changes in BMI. Avraham Y, Latzer Y, Hasid D, Berry EM. The Impact of Δ9-THC on the Psychological Symptoms of Anorexia Nervosa: A Pilot Study. Isr J Psychiatry Relat Sci. 2017;54(3):44-51. 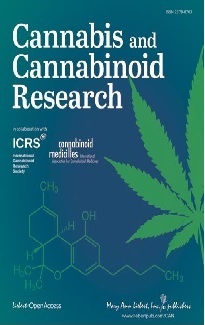 A cannabis extract with high cannabidiol and low THC concentrations may be effective in behavioural problems of children with autism spectrum disorder. Scientists of the Shaare Zedek Medical Center in Jerusalem, Israel, investigated the effects of a cannabis extract in 60 autistic children with a mean age of 11.8 years (range: 5–18 years). They were treated with oral CBD and THC at a ratio of 20:1. The dose was up-titrated according to effect with a maximal CBD dose of 10mg per kilogram bodyweight and a maximal THC dose of 0.5mg/kg. Tolerability and efficacy were assessed with standard scales, including the Home Situations Questionnaire–Autism Spectrum Disorder (HSQ-ASD) and the Autism Parenting Stress Index (APSI). In a study with 30 dependent cigarette smokers administration of a single CBD dose of 800 mg reduced the pleasantness of cigarette cues, compared with placebo, after overnight cigarette abstinence. It was conducted by British researchers of the University College London, King’s College London, University of Exeter and the University of Bristol and published in the journal Addiction. Tobacco abstinence overnight increased attention towards pictures of tobacco cues. CBD reversed this effect, such that automatic attention was directed away from cigarette cues. Compared with placebo, CBD also reduced pleasantness of cigarette images. CBD did not influence tobacco craving or withdrawal. “Expert Roundtable Discussion on Cannabis and the Opioid Crisis" with Daniele Piomelli, Susan Weiss, Graham Boyd, Rosalie Liccardo Pacula, Ziva Cooper. 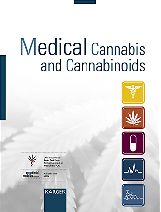 A survey of a representative random sample of 400 medical oncologists in the USA revealed that 80% conducted discussions about cannabis with their patients, and 46% recommended the medical use of cannabis. It was viewed by 67% as a helpful adjunct to standard pain management strategies, and 65% thought cannabis is equally or more effective than standard treatments for anorexia and cachexia. Researchers analysed data of 690 patients, who were positive both for hepatitis C and HIV, in a prospective study. At the beginning of the study 53% had smoked cannabis in the past 6 months, consuming a median of 7 cannabis cigarettes per week. They found no evidence for an association between cannabis smoking and significant liver fibrosis progression in this population. Brunet L, et al. Clin Infect Dis. 2013;57(5):663-70. Perelman School of Medicine, University of Pennsylvania, Philadelphia, USA. The combination of cannabidiol and radiotherapy showed enhanced efficacy in the killing of pancreatic and lung cancer cells. Brigham and Women's Hospital, Boston, USA. Yasmin-Karim S, et al. Front Oncol. 2018;8:114. Cancer Hospital of Harbin Medical University, China. Parkinson’s disease results from death of certain nerve cells in the brain region substantia nigra. The chemical MPP+ (1-methyl-4-phenylpyridinium) exerts toxic effects on these nerve cells, and beta-caryophyllene may protect from this toxicity, which may be of relevance for prevention and treatment of Parkinson’s disease. Wang G, et al. Biomed Pharmacother. 2018;103:1086-1091.